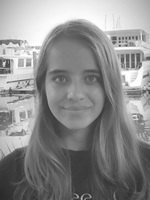 Paris is a Harrow International School student, born and raised in Hong Kong. She has been a member of Faust since 2011 and has been involved with numerous productions including The Wind in the Willows, Kensuke’s Kingdom and The Lion, the Witch and the Wardrobe She has also performed in two productions with Stage Group so far as the Nurse and Estragon in Romeo & Juliet and Waiting for Godot respectively, as well as multiple Faust Festival shows. Together with acting, Paris is also an avid theatre goer and is very passionate about the arts. She looks forward to joining the Faust team as a student leader and is very excited for what may come this season. Shannen is at her final year at Marymount Secondary School. She has been in class productions at her school. 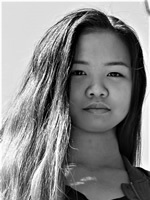 In her spare time, she loves drawing, photography, as well as outdoor activities. Shannen loves to work with kids along with having a passion towards drama. Poppy is 17 years old and is currently in Year 13 at South Island School. Poppy has loved drama ever since her first school show, when she was 6. Drama has been such an important part of her life, and is excited to share her love and passion with the students she will be teaching. 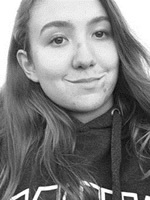 Poppy has been doing Faust since 2012 and is lucky enough to have performed in 7 Faust productions including The Lion the Witch and the Wardrobe, The Jungle Book, King Lear and most recently A Midsummers Night’s Dream. She was also lucky enough to perform in a professional production of Annie which came to Hong Kong in 2012. She has also performed in a long list of school productions and is also an avid dancer. She is really looking forward to working with Faust, and is excited to see what this year holds for her. Poppy Brian-Boys is currently studying at South Island School. She has been a member of Faust since she was 6 years old and has enjoyed it ever since. She has been performing all her life and recently played one of the lead roles in Lord of The Flies. She has studied Drama at IGCSE level and is now studying higher level Theatre. Poppy enjoys every aspect of performing and hopes to share and encourage all faust students. Sam was born in Hong Kong and has lived here her whole life. She currently studies at South Island School, where she has just completed her GCSEs. Sam is taking IB Theatre and really enjoys it. She has been in many plays, both at Faust and at school, and her favourite so far has been King Lear with Faust’s Stage Group. 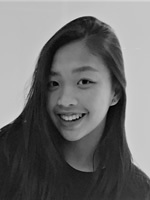 She is really looking forward to working at Faust because she can't wait to share her enthusiasm and passion for drama with younger Faustlings. Audrey is starting her second year as a student leader and is, as always, really excited to be working with the kids. She absolutely loves the performing arts, drama and dance especially, and hopes to bring that passion with her in the studio. She has been participating in numerous in-school productions and found theatre to be an excellent confidence-building activity. She has a particular interest in lighting and the visual aspects of a theatre performance. 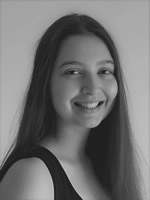 Audrey is looking forward to a wonderful term at Faust and to gain such valuable experience as a performer. Tara is currently sixteen years old, and attends Renaissance College. She was born in Sydney, Australia, and has now lived in Hong Kong for 12 years. She is currently in the process of completing the IB Diploma programme and has been a Drama Scholar since 2016. Tara’s more recent roles include Il Capitano in The Servant of Two Masters, and Lady Macbeth in the Shakespearean classic, Macbeth. She was first introduced to Faust at the age of 11, and has been apart of their annual performances, participating in numerous festivals and productions, and is nonetheless ecstatic for this term! Éamonn joined Faust when he was 10 and has been in several Faust productions, both the larger scale shows and as part of Faust Festival. He loves performing and working with the many talented individuals at Faust, and there is truly a never boring day in youth theatre. The children that go to Faust really get a chance to express themselves, to find new depths and self-confidence within, and to have fun with friends in the process. He is genuinely an enthusiast for what Faust offers and hopes to share his passion for the age-old magic of theatre in his role as a Student Leader. 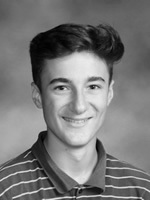 Tom Morgan is currently a first year IB diploma student at Renaissance College. He has lived in Hong Kong for the majority of his life after moving from the UK at age 8. He studies higher level theatre and has been involved with Faust for around 3 years. Tom has been in a number of Faust performances such as stage groups King Lear, A servant of two masters and The Jungle Book. On top of this he has also performed in numerous school productions such as Footloose, Bugsy Malone and acting as a director in Lord of the Flies. He has thoroughly enjoyed his past experiences as a student leader within Faust and is thoroughly looking forward to the next year of Faust! 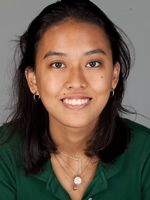 Sammi Choi is a High School Drama scholarship student in Renaissance College Hong Kong. She has performed in many productions and is also familiar with the workings of backstage management, and has experience in teaching young children Drama. Ever since she was little, she has been captivated by theatre and is very excited to be working with the amazing children here in Faust! 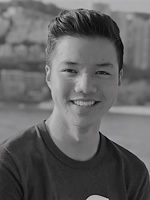 Lewis Kerr is a 15 year old school student, born and raised in Hong Kong. Lewis has been obsessed with the performing arts ever since he was 2 years old and first started break dancing. Lewis has been part of Faust for just over 2 years now and has absolutely loved every second of it. Lewis hopes to inspire more people to join the Faust family and be able to experience the true power of the performing arts. Born in Hong Kong, Isabella took part in a number of Faust productions at a very early age. 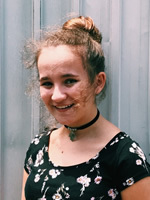 This experience stimulated a lasting enthusiasm for all aspects of drama, and she has since appeared in a variety of productions both in school and out of school. She recently completed A-Level courses in Drama, Photography and History of Art and is embarking on her gap year. 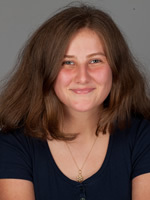 In August 2017 she renewed her connection with Faust by assisting as a student leader during the summer programs and she looks forward to taking up this role once again for the upcoming autumn term. Next year she is planning to travel to Tanzania where she will be working with young children and where she hopes to apply both the valuable teaching experience and the theatrical knowledge that she has garnered during her time with Faust. Anastasia is Sixteen years old and is currently in year 11 in DBIS. She has joined Faust in January 2017 and has a huge passion for theatre since then. She has been in two Faust shows "Servant of two masters" and " The mobile phone show" and other performances she precipitated in school. She is very excited to be able to share her passion for drama to other children. 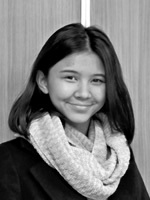 Annabel was born and raised in Hong Kong and attended Kiangsu Chekiang College International Section. 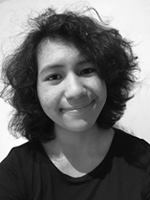 She completed her IB Diploma in 2018, where she studied English Language and Literature and Film at higher level. She has been a member of Faust since 2009 and been involved with productions such as The Jungle Book, Waiting for Godot, King Lear, Servant of Two Masters, as well as numerous productions as part of The Faust Festival. 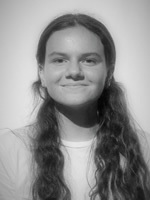 Annabel's passion for performance and drama has grown throughout the years, and she aspires to have a career in theatre. She is excited to be part of the Faust team as a student leader to help pass on her love of acting as Faust has once done for her. 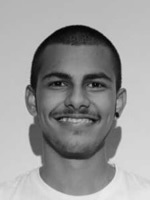 Chirag Punjabi is currently studying in Renaissance College Hong Kong, taking the IBDP programme. 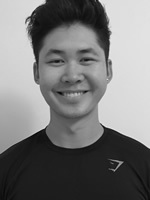 He is a theatre student and has a lot of experience with Drama, working alongside different people and young children. He has a lot of passion in the art of theatre and has been in a vartiety of productions and managed shows, on a small and large scale. He works very well with children due to the experience he has, may be it tutoring them with school subjects, training them for certain sports, helping and leading them with Community and Service and most importantly, teaching them Drama. Chirag has been a stage manager for "Footloose" and "Lord of the Flies" and has been an actor in Midsummer Night's Dream, Lord of the Flies and Macbeth. This is the first year that Kadin is joining Faust as a student leader! 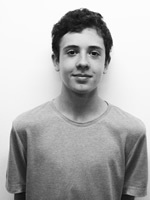 He is currently a year 13 student at South Island School where he is taking Higher Level Theatre for his IBDP. Since he was around the age of 4, he has been seriously in love with acting, movies and plays. He spends his free time going to the theatre and enjoys to see what’s new on the screen. He also loves to act, sing and dance and have been preforming in various school productions! Also, he is a big fan of superheroes! Andre is currently studying the International Baccalaureate Diploma Programme at South Island School, where he has been an active member of the theatre scene, taking lead roles in productions such as Lord of the Flies and Private Peaceful, and being an ensemble member in Guys and Dolls. He has studied Drama at IGCSE level and is now studying Theatre at IB level. 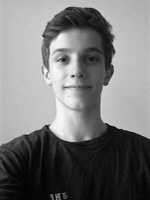 Andre particularly enjoys musical theatre and is keen to pass on his love and passion for theatre to Faust students. He is excitedly looking forward to the coming Faust term.